Chia seeds are one of the most nutrient dense and powerful foods on the planet. In the past, Mayans and Aztecs used them for their ability to provide sustainable energy in battle, so it makes sense that the word ‘chia’ is actually the ancient Mayan word for strength. Today, chia seeds have become touted as a superfood and have found their way into many homes and even on ingredient lists in many processed foods. Benefits: Chia seeds have been touted for their high omega-3 content, but they are also an extremely balanced food group with high quality fats, protein, and fiber rich carbohydrates. In fact, 1 serving of chia seeds, 2 tablespoons, contains 11 grams of fiber! This is a massive amount considering the recommended daily value for fiber is 25 grams for women and 38 for men. This, along with their gelling quality, makes them amazing for digestion. When chia seeds are placed in liquid they turn into a gel that sweeps along the digestive tract, giving you a mild detox and providing electrolytes and hydration. This quality also makes them great for balancing blood sugar and weight loss because it slows carbohydrate digestion, keeping you fuller longer and preventing sugar spikes. How To Use: One of the notable qualities of chia seeds in cuisine, is also its ability to gel. Chia seeds have become almost an essential part of vegan cuisine, especially vegan baking, for their abilities as an egg replacer and texture stabilizer. 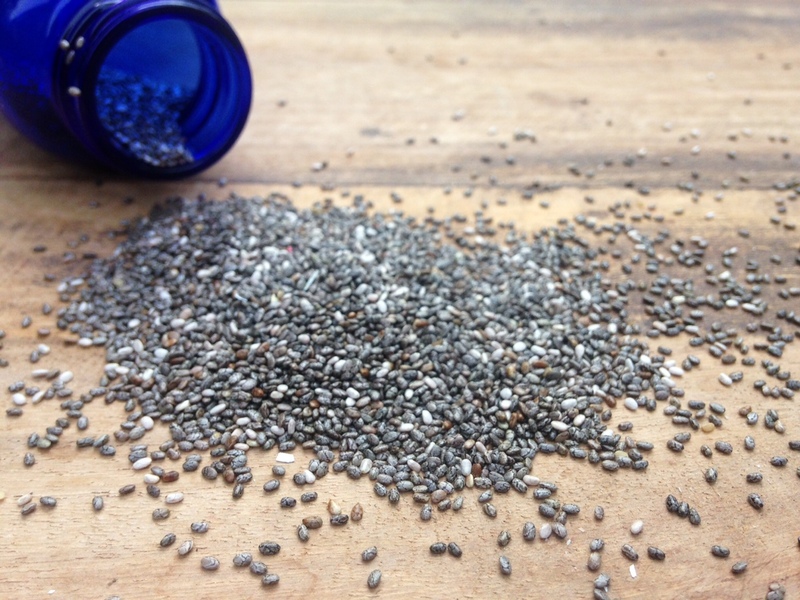 Tip: 1 tablespoon of chia seeds with 3 tablespoons of water will act as an egg replacer in most dishes! Chia is also great to make pudding, throw in smoothies, thicken soups or sauces. **Look for non-irradiated and sustainably sourced chia seeds!